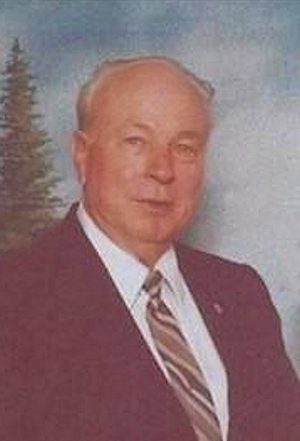 Obituary – Hicks, Paul Stanley « Perry High School Alumni Association, Inc.
– son of Mr. and Mrs. S. S. Hicks of 728 Cedar street, was the winner of the Lions’ award for wrestling in 1939. He was also captain of the football team this year. Besides those two sports, he lettered in track. He won a silver football award. He is a native of Perry and attended all his school years here. He has worked during his high school terms at Brownie’s and in the Masonic Building. He keeps a scrap book for a hobby. He intends to take up engineering and become an airplane pilot following graduation. Paul S Hicks, Sr. was called to his final resting place on August 18, 2011. He was born in Perry, Oklahoma to his parents Jack and Bessie Hicks on the 31st of January, 1919. He grew up in Perry, and was proud of being the Captain of his high school football team, as well as a member of the wrestling squad. 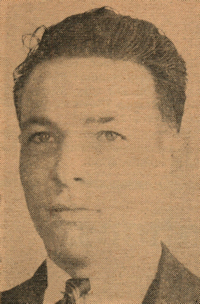 Upon completion of schooling, he enlisted in military service. He first served in the Army and then in the Navy for which he spent 33 years of his life. Paul met his loving wife, Pauline, while in the Navy and spent 60 years of marriage with her until her death in 2004. Being a career Navy man, he and his family have been stationed in many states as well as foreign countries. A veteran of WWII, Korea, and Viet Nam, Paul served this country proudly. Many a sailor referred to Paul as “Senior Chief”, fitting for a man who loved the Navy. He retired from Navy life in 1970 at NAS North Island San Diego, CA. Paul and Pauline resided in Poway, California for numerous years and moved to Lake Stevens, WA to be closer to their daughter and grandchildren. They loved the great Northwest and had a yearning to return after twice being stationed at Whidbey Naval Air Station, and in Anacortes. Paul was stationed aboard the USS Portland, which pulled out of Port in Hawaii, two days prior to the attack on Pearl Harbor. Three torpedoes later hit his ship during the war and he helped many crew members during the trying times of conflict. Paul enjoyed life to the fullest showing special interest in hunting, camping, and fishing. He is preceded in death by his father and mother, Jack and Bessie Hicks; beautiful and loving wife, Pauline; brother, Bill; and sisters, Maxine Krane, and Anna May Hicks. Paul is survived by son his Paul, Jr., and wife Barbara; granddaughters, Kimberly and Tina; great- grand daughters, Brittany, Jessica, Jenna, and Lily Joe; great-great-grandson, Landon. Daughter; Paula, and her husband Jim Girard; grandsons, James P, Kris, and his wife Angie; great-grandsons; Mitchell, Kolby, and Nathan. His sister, Zelda Morris, and nephew Terry; sister-in-law Gisela Hicks; nephews, Ralph and Mark; niece Susan; brother; Jack and his extended family; his sister, Maxine and her children, Mike, Gene, Carol, Sue, and Billy. On August 23, 2011, visitation will be at 10am prior to the 1pm service, at Schaefer Shipman Funeral Home. Address: 804 State Ave in Marysville, WA. Military Honors will take place following the reception at the Evergreen Cemetery in Everett, WA. In lieu of flowers, the family requests memorials may be made to the Alzheimer, Leukemia, or Heart Associations. All family, friends, and those who knew Paul are very much welcomed.